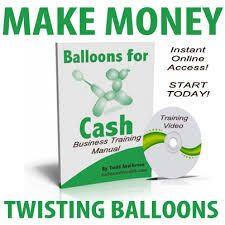 Make Money as a Balloon Twister! So… You’re searching the internet for ways to earn money to take a vacation. You have probably seen all of the typical suggestion by now; sell your old junk on ebay, have a garage sale, go work a part-time job for minimum wage, or clean your neighbors houses. The fact is, you only have so … Read moreNeed vacation money? I apply for jobs but no one will call me…. I know so many people right now that are desperately looking for a job. They are willing to take whatever job they can find. Whether it be flipping burgers, mowing grass, pumping gas, or stocking shelves, they just need a job! Unfortunately, they can’t get one. For some unknown reason every place that has a … Read moreI apply for jobs but no one will call me….